Welcome to our regular round-up of the best hotel promotions currently running. All of the information in this article can also be found on our ‘Hotel Promos’ page which contains details of all of the current offers, together with links to our major articles on each hotel scheme. However, a positive response from readers – especially our 11,500 email subscribers – means I am now running this monthly article as a handy summary of what is going on. Where should you credit your stays in June? You have some pretty decent options at the moment. I run through the different promotions below. A lot of these offers were also running in May, but I would highlight the new Accor / Avios offer which could be lucrative if you had an expensive Novotel, Mercure, M Gallery, Pullman, Ibis etc stay. This is a pretty weird selection to be honest but we’ll see how we go. I will be in Atlanta next week so I may be able to squeeze in a stay. There is no global Radisson Rewards promotion at the moment. If you want to know what has changed now that Club Carlson has morphed into Radisson Rewards, my article is here. The Radisson Rewards booking page is here. There is, however, a special promotion for Avios members called ‘Take The Lift’. If you credit your stays to Iberia Plus to earn Avios, instead of earning Accor points, you will earn TRIPLE Avios. This applies to booking made between 18th May and 4th July, for stays until 4th July. Existing bookings made before 18th May do not count. You will earn 7.5 Avios per €1 at more brands, and even more if you have Accor status. Full details of ‘Take The Lift’ are in this HFP article. 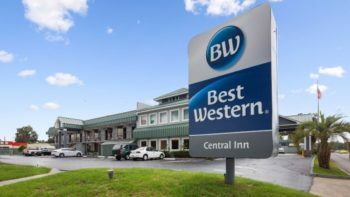 Remember that Best Western is an Avios partner now (see this article) so you will earn 500 Avios on every stay if you choose miles instead of points. You can also choose to receive Virgin Flying Club miles – details are here. Full details of the Avios partnership are in my article here. The same article also explains how to get a status match to Best Western Rewards. The Best Western booking site is here. 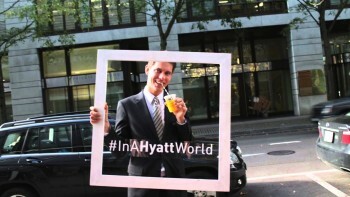 The last global Hyatt promotion ended on 15th May. No new offer has been announced yet. The new Starwood offer is called ‘More Nights, More Starpoints’. From 16th April to 20th July, you will earn 250 bonus points per night which I would value at £3.75. However, the bonus only kicks in from your third night from 16th April. Full details are in this HFP article. The article includes a link to the list of non-participating hotels. Registration is required via this page of the Starwood website. Note that registration closes on 30th June even though the offer runs until 20th July. The bonus is capped at 12,000 points. The Starwood booking page is here. Now that Marriott has acquired Starwood, the two groups are running similar offers. The Marriott Summer promotion is another outing for Megabonus. From 16th April to 20th July, you will earn 750 bonus points per night which I would value at £3.75. However, the bonus only kick in from your third night from 16th April. Full details are in this HFP article. Registration is required via this page of the Marriott website. Note that registration closes on 30th June even though the offer runs until 20th July. The bonus is capped at 36,000 points. The Marriott booking page is here. We rarely feature Wyndham Rewards as there are only a handful of Ramada and Days Inn hotels in the UK (Waterloo is above). Their current offer is very generous, however, and potentially worth a look if you are travelling in North America where they are the biggest hotel grouping – they own Wyndham, Tryp, Wingate, Hawthorn, Microtel, Baymont, Super 8, Howard Johnson and the US (not UK) Travelodge. If you complete two stays at any Wyndham Rewards hotel globally by 1st July, you will receive a free night at any Wyndham Rewards property. Full details are on the Wyndham Rewards website here. My main article on the deal is here. You don’t get a free night voucher. What actually happens is that, after your 2nd stay, you receive 15,000 Wyndham Rewards points. ALL hotels – every single Wyndham Rewards property on the planet – cost a flat 15,000 points per night whether they are one-star or five-star so this is good for a free night. The Wyndham booking site is here. PS. If you booking a luxury hotel, remember that we can offer you exclusive additional benefits at Four Seasons, Mandarin Oriental, Peninsula and similar hotels. Click here for details of our luxury hotel booking service in association with Bon Vivant / Virtuoso. Feedback from readers who have used this service so far has been excellent and we have booked over £650,000 of rooms so far. What can you learn from Qatar Privilege Club's shock 40% devaluation? OT – any Marriott hotel recommendations in NYC? Last year I stayed at Reinassance Times Square and as Marriott Gold they gave us free breakfast (except on the weekend) and late checkout. No upgrade but I reckon the city was full booked due to fashion week. I think Rob posted a review on JW Essex – next to Central Park – not long ago. Essex House seems to be no-brainer on a redemption until August, given lounge access (if you are Gold, and aren’t we all?!) and the recent refurb. My partner and I were each emailed a potentially targeted Radisson offer this week for 5,000 points per stay. Worth checking inboxes for this hiding amongst the GDPR clutter! It’s not targeted. Another dream deals offer. Marriott 7 day 1-5 certificate from the travel package. Anyone know which SPG hotel groups will be bookable from August. No, no-one knows a) how hotels will move categories and b) how the certs will map to the new categories. Do NOT assume it will remain valid on Cat 1-5 if, for example, most existing Cat 5 hotels become Cat 4 or Cat 6 …. it could go either way. Thanks Rob. Not clued up on SPG hotels, not stayed in one since the Sheraton Sea World Orlando back in the late Eighties. 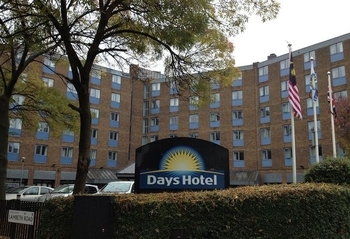 Have stayed there in 2006… and several times since it re-branded- and improved- to DoubleTree. Great hotel! Does anyone know what the transfer time is for the miles part of the package? I bought it 2 days ago and requested Delta miles but haven’t received them as yet. Hardly “every” stay, you can only get it once. That said 20% off if you manage to stay at a £50 property twice is not bad. Would be great to see some form coming back with Hilton regarding mileage earning, maybe in terms of isolates promotions.